Two remarkable properties at the heart of rural Kinross-shire that cater for both contemporary and traditional tastes have been placed onto the market through CKD Galbraith. Ardgairney House, an outstanding country house of distinctive curved design, is an exceptional modern residence that was completed in 1971. Just a short drive away, Hardiston House is a delightful country house with gardens and grounds including paddocks and woodland. Both properties lie just outside the village of Cleish, a beautiful parish that nestles in a wonderful Kinross-shire location and also provides excellent access to Edinburgh, Perthshire, Fife, Clackmannanshire and beyond. Ardgairney House was designed by R S Burnett of T M Wilson & Partners and was completed to a high standard and boasts high quality fixtures and fittings throughout. The magnificence of the grounds in which the property lies is matched by the design of the house itself, with its curved shape particularly striking on the approach to the house. Similarly, the internal features of Ardgairney House are equally remarkable, with the east wing hosting some splendid public rooms, including the drawing room that commands a lovely double aspect over the garden and is centred on a significant open fireplace. The west wing of the property is where the bedrooms lie, each of which are generously sized and are serviced by either an en suite shower room or bathroom. Leading directly from the reception hall is a delightful garden room which enjoys both an easterly and westerly outlook. Originally a swimming pool, the room still benefits from a sauna and shower room directly off. For those who dream of a property with a pool, the swimming pool is still in situ beneath the wooden floor and could easily be reinstated. Available within the same lot or as a separate purchase, Ardgairney Cottage lies about 270 metres to the west of Ardgairney House. The accommodation at the cottage comprises four bedrooms and would offer potential buyers a self-catering holiday let opportunity or annexe accommodation to the principal house. There may also be further potential for a development site to the east of the cottage, subject to the necessary consents. Hardiston House, meanwhile, is a beautiful period home that offers both history and charm for prospective buyers. The core of the original house, to the east, dates back to the late 18th Century and the west wing, added in 1948, is of a complementary style with most attractive sweeping stone steps to the front door. As would be expected, there is a host of original features throughout including panelled doors, intricate cornicing, fireplaces, sash and case windows and an original Georgian staircase. In 2002, the garden room was sympathetically added directly between the kitchen and entrance hall. It is a charming room with a double aspect overlooking the garden and French doors leading directly to the terrace. The ground floor hosts a number of charming rooms, most notably the drawing room, with its triple aspect and open fire helping to form a most charming principal reception room. The property's four bedrooms all lie on the first floor and can be reached by one of two staircases. Included within the sale, and lying to the north west of the house is an L-shaped, traditionally built stone building comprising a two bedroom cottage, garages, hay loft, stables and storage. Again, subject to obtaining the necessary consents it could be developed into further ancillary accommodation. Both buildings are surrounded by mature gardens and grounds which are a particular feature of the property. 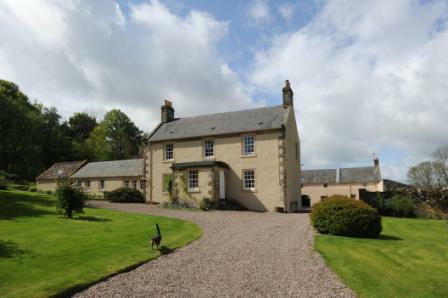 Hardiston House boasts approximately 30 acres which provides paddocks and grazing land. This ground could be either suitable for rare breeds, horses or indeed let to neighbouring farmers, for which there is much local demand. 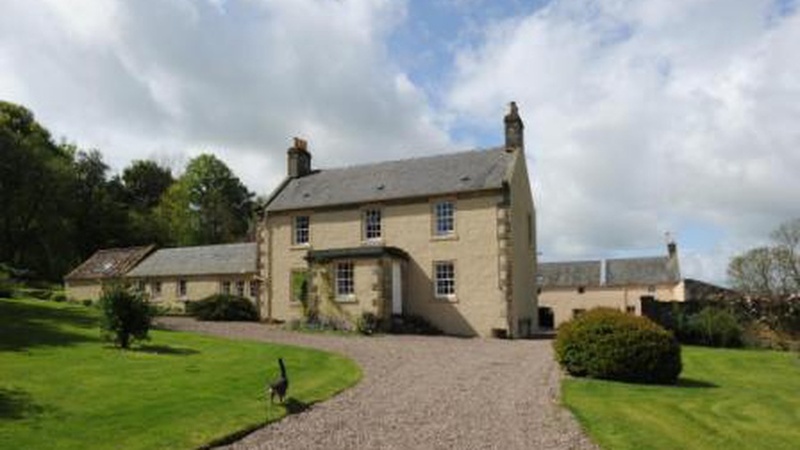 Emma Chalmers, who is handling the sale of both properties for CKD Galbraith, said: "Ardgairney and Hardiston are two magnificent properties, both enjoying rural settings close to Cleish but of very contrasting architecture. For the buyer looking for a period property with land, Hardiston is spot on, but for the more contemporary purchaser looking for a bespoke home, Ardgairney would fit the bill perfectly. 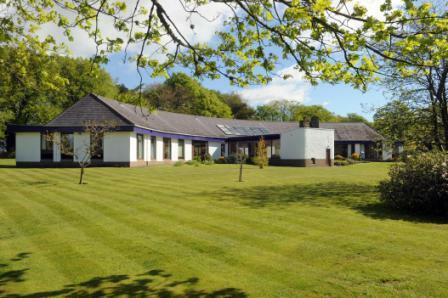 "Both properties present splendour but in very different ways: the curved design of Ardgairney is unique and offers a modern style but with scope for new owners to really put their mark on their home. Hardiston's B-listing gives an indication of its history and together with its extensive gardens and grounds are likely to enchant viewers. "Their locations are beautiful and will be a draw to families who are looking for an idyllic rural lifestyle close to good schools yet highly convenient for Edinburgh and beyond." Ardgairney House & Cottage as a whole is being marketed at a guide price of 980,000 or as separate lots lot one at 800,000 and lot two at 180,000. Hardiston House is being marketed at a guide price of 860,000.